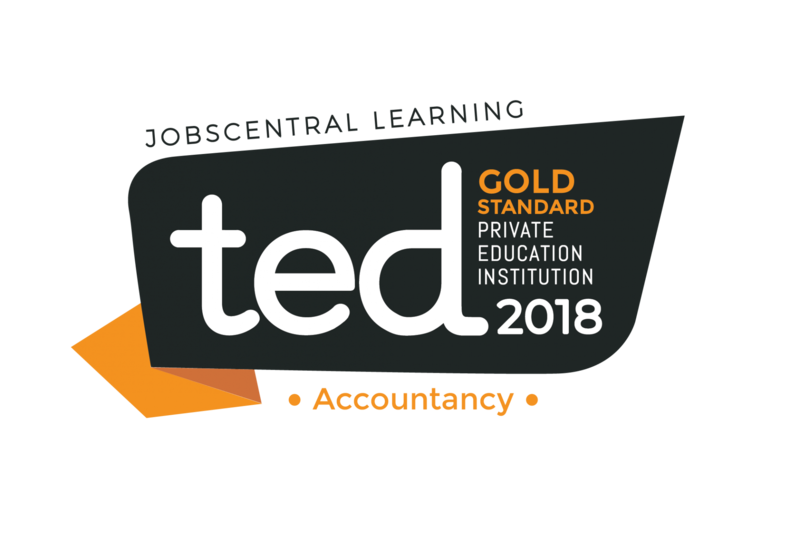 We are thrilled and humbled to be conferred the Gold Service Standard Provider Award for Private Education in Accountancy by JobsCentral Learning, Singapore. 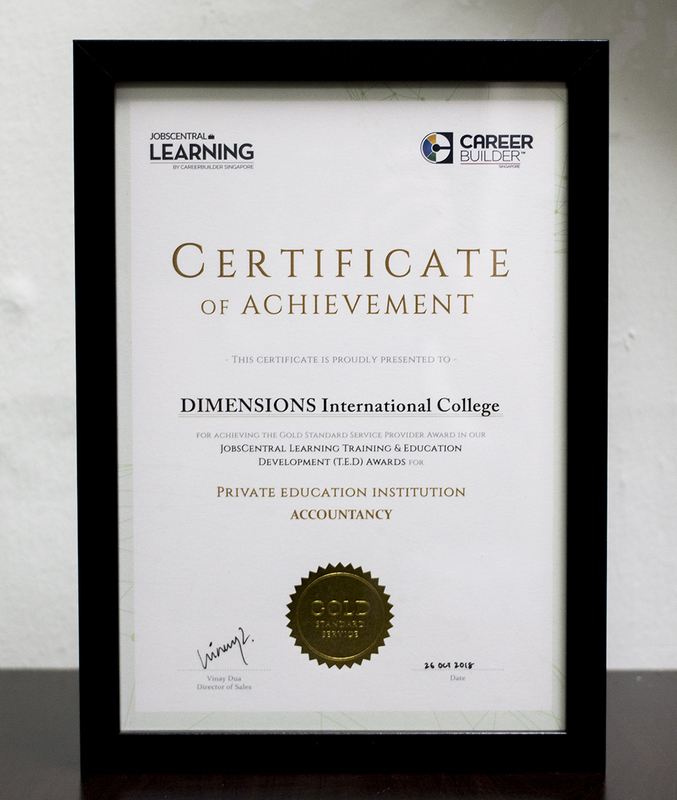 Outward-looking and enterprising, DIMENSIONS has established a strong foothold in the local private education industry and this prestigious award reflects our high-quality educational standards and serves as a symbol of our focused and dedicated support to a large number of students throughout the years. Awarded by our well-reputed partner university – Cardiff Metropolitan University (UK), our high-quality and broad-based Bachelor of Arts with Honours in Accounting and Finance programme is fully accredited by the main UK accounting bodies to meet the specific industry and enterprise requirements.